This is the day! 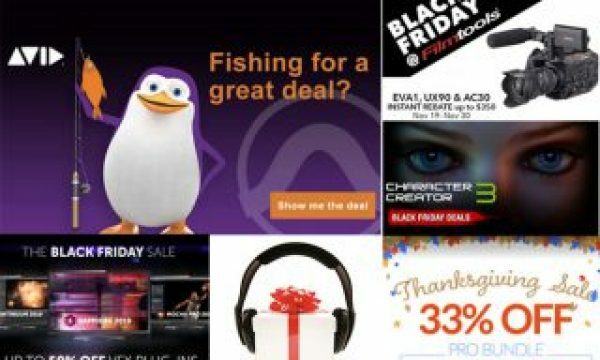 Black Friday is finally here, and we’ve a new series of promotions for you to check. One thing to remember: most of the deals continue until Cyber Monday or even beyond. This is the fifth day of PVC’s special 2018 Black Friday BEST deals, and it really is Friday, although not everybody thinks it is black. Find out more reading our new listing of deals for this period of the year. Because this is the BIG day, we don’t want to keep you busy reading this introduction. 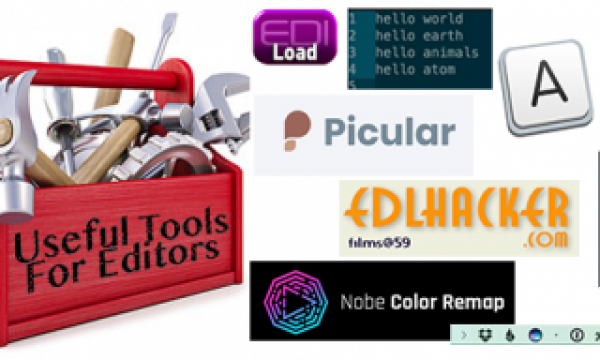 Again, we give you some more ideas to spare money and get some fantastic products, either hardware or software. We’ve published, with this one, five different listings, so please go through all of them (you’ve the links for the previous four at the end of this note) and check if you’ve missed something that is important to you. Let’s explore what this 2018 Black Friday offers. To get a perfect Black Friday you’ve to calibrate, says X-Rite. And we all know it is true… at least for Black, as I don’t know if Fridays are something we can calibrate. Doesn’t matter, now, as the message is what’s important: X-Rite is offering users the option to save up to $60 with this promotion on its products. Buy a Lightworks Pro ‘Outright’ 14.x license and save a HUGE 50% off the RRP ($437.99 ) during this 2018 Black Friday weekend only (pay only $218.99). All the features including all the export options are enabled allowing up to 4K resolutions. 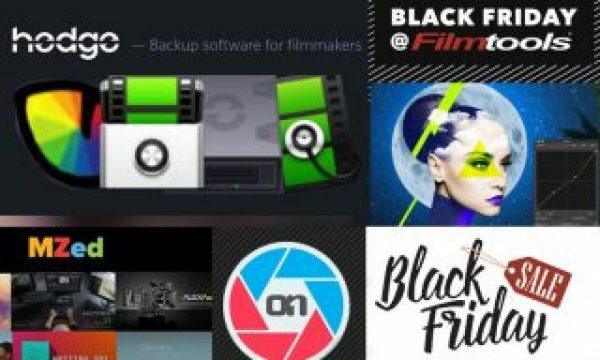 Use the voucher code BLACK_FRIDAY_2018_OUTRIGHT at the checkout and get your 2017 Emmy award-winning Hollywood blockbuster editor at an amazing price with both Boris FX and Graffiti also included. But you’ve to be quick! The 50% discount is valid from Friday 23rd November noon (GMT) till Sunday 25th November midnight (GMT). After the weekend, the discount will drop to 30% for three days and then that’s it! Back to normal. Grab it while it’s hot! The company is also offering another deal: buy a one year Lightworks Pro license and get a second year absolutely free! That’s live in the shop now – no voucher code needed! 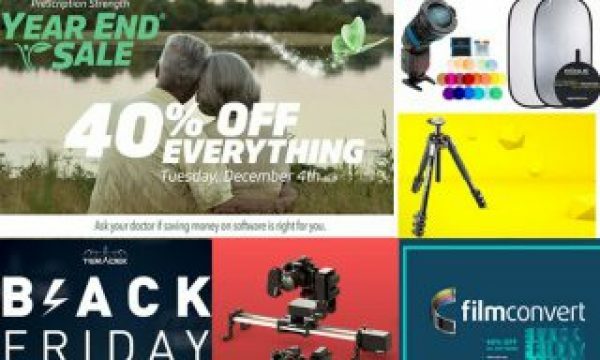 Skylum has a great offer for photographers during this 2018 Black Friday. Until November 28, Luminar and Aurora HDR 2019 are available at special prices and go with a great bonus pack. Example? Luminar for Mac and Windows costs only $59 instead of $69 and comes with bonuses ($209+ value). There is also a special upgrade price for Luminar, Aurora HDR and other Skylum product owners: $49 and bonuses ($209+ value). Check the website for the bonuses. Aurora HDR 2019 is also offered at a special price: $99, with the upgrade price for Aurora HDR owners being $49 instead of $59. Both plans include a $210 value in bonuses. For those who want it all, Skylum has another offer: Luminar + Aurora HDR Bundle Black Friday Offer for $119 instead of $168 ($49 off). Remember, all these promotions are available until November 28th. ScopeBox, from Divergent Media, gives you a high quality, highly flexible preview monitor. 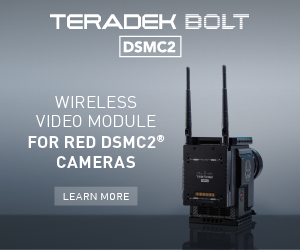 You get all the settings you’d expect to find on a high-end field monitor, plus some software-only extras like focus assist and zebras. Add framing guides and overlays to make sure that your shot works out exactly the way you expect. ScopeBox, because today is 2018 Black Friday, is available at a special price, with 40% off, courtesy of Divergent Media. And the deal runs through November 26th. To get the special price for this Mac tool, use the coupon code zeroIREfriday when checking out at the online store. Introduced as “The biggest upgrade to the Resolve Color Page since the Hue vs Hue”, Nobe Color Remap plugin for Blackmagic Design DaVinci Resolve is now available with an early adopter promotion that happens right in the middle of this hectic 2018 Black Friday fever. ProVideo Coalition editor, Scott Simmons, pointed this out to me, otherwise I would have missed it. Nobe Color Remap makes it easy to keep your colors under control, as it helps you to achieve what usually takes a lot of steps in one click. The results are usually way cleaner and much more precise, says the company. To get this plugin, available for Windows and MacOS, all you’ve to do is visit the website, decide if you want the Lite or Pro version, and pay. There is a 15% OFF Early Adopter Promo. And while you’re there, check the other promotions from the company behind the product, Time in Pixels. Whether you want to expand your understanding of photo and video or discover how to better manage your finances, Creative Live has a class, course or workshop to follow. The offer does not stop there, as the range of subjects covered by the company includes music and audio, crafts, art and design. In fact, and because life is not just work, you’ll find Creative Live is also a place to spend your free time, learning things like… how to become a wine taster, or meditation for everyday life. With more than 1500 courses available to download, Creative Live is known for its FREE live streaming of courses, daily. It’s a fantastic resource for education (I know, because I’ve followed classes there and also bought some of them), and this 2018 Black Friday you can pick the courses that are most important for you and pay less, as there is up to 60% off everything.